Ryan Jerz took a trip out to the Dayton Valley yesterday, where he left U.S. soil and entered the Republic of Molossia. 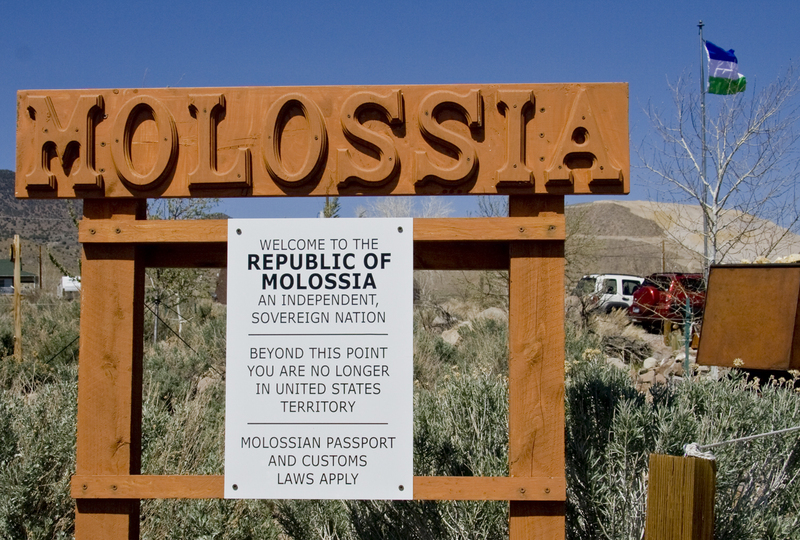 Molossia is a micronation, a sovereign enclave within the boundaries of the United States. 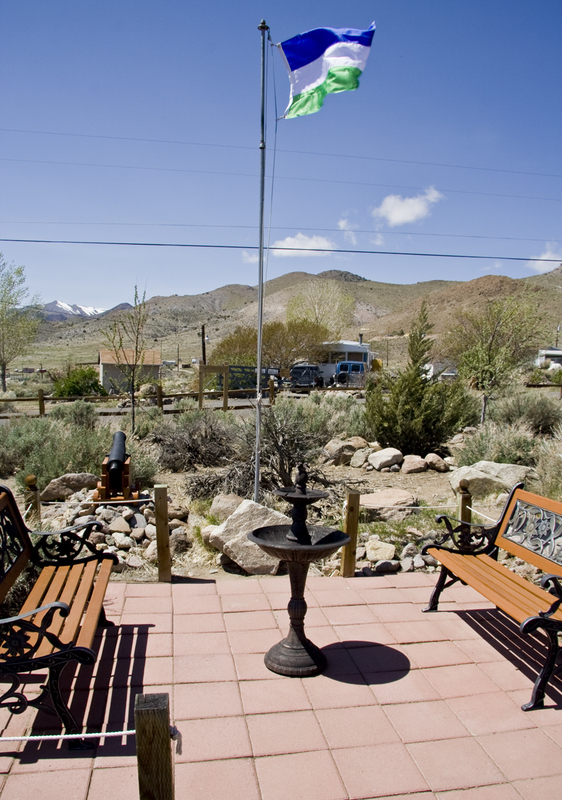 The residents of Molossia are President Kevin Baugh and his family, and the nation is comprised of the Government House and the surrounding front and back yards. Ryan and his ambassadorial entourage were welcomed to Molossia with a tour of the national parks, a walk on the Trans-Molossia Trail, a visit to the cemetery, and a ride on the national railroad. It’s best to read Ryan’s whole article to get a sense what a visit to the Republic of Molossia is like. See also: History of Molossia, and the Wikipedia page.